In an earlier post that looked at the concept of Cultural Maturity’s big-picture significance, I briefly described a recent recognition that provides insight important to effective culturally mature advocacy. As I’ve finished up my new three book series and begun to engage a broader audience, I’ve been confronted with how often even basic understandings— understandings that will be critical to going forward—remain ahead of their time. I’ve had to come to grips with how, depending on the issue, having a critical mass of people able to successfully apply culturally mature perspective may often be ten, twenty, thirty, or even fifty years away. This recognition has been made more inescapable of late by the extreme absurdity of so much that is going on in the world right now—particularly in the political arena (where intractable partisan pettiness—and worse—so often prevails). Much that might seem ludicrous can be understood in terms of Cultural Maturity’s changes. (A dynamic that Creative Systems Theory calls Transitional Absurdity describes how we should expect to encounter both “overshooting the mark”—the pushing of old realities well past their timeliness—and regressive responses to unsettling realities. In the political sphere, intractable partisan pettiness reflects “overshooting the mark” and the surprising recent attractiveness of authoritarian sensibilities reflects simple regression.) But while the ludicrous-seeming is predicted, the fact that we confront it as frequently as we do today makes it hard to deny that often we are not as far along as I had hoped. That this recognition would surprise me is in part a product of my own history. I’ve been exploring the idea of a needed next chapter in our human story and its implications for nearly four decades—from initial insights that spawned the concept of Cultural Maturity to twenty years of collaborative efforts with the Institute for Creative Development. That I might find myself surprised is also a product of the history of Cultural Maturity itself. 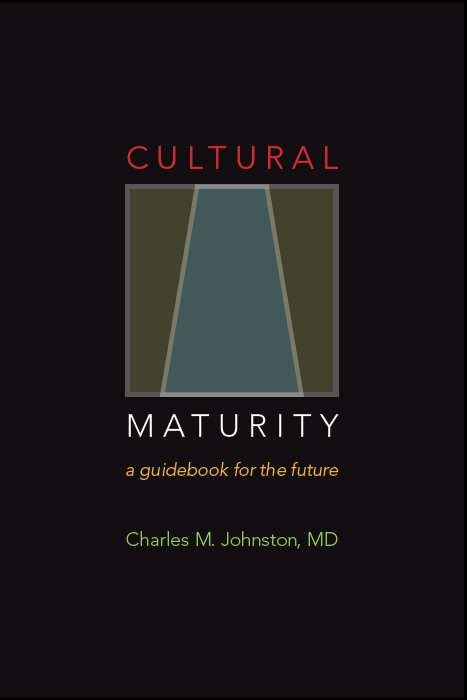 In my most recent book, Cultural Maturity: A Guidebook for the Future, I describe how we witnessed first inklings of culturally mature perspective in the sciences and the arts over a hundred years ago. It is easy for me to assume that progress should be faster. The recognition that important aspects of Cultural Maturity’s changes may be decades in coming is humbling in that it confronts us with how great a challenge effective culturally mature advocacy inherently presents. But there are ways, too, in which the recognition is affirming. It is consistent with the depth of change that the concept of Cultural Maturity describes. And because Cultural Maturity’s changes will be critical to our future well- being—and arguably our survival—recognizing how far we often have yet to go also helps sharpen our appreciation of the necessity of getting there. With this piece I will do three things. First, I’ll take a handful of concerns where culturally mature perspective will be critical and map the time frames in which we might expect to see different aspects of needed new understandings. Then I’ll reflect briefly on why Cultural Maturity is not easier than we might imagine it to be. Finally, I’ll note a few factors that might speed up or slow down these change processes. Let’s take a few areas of concern where culturally mature perspective will be essential and examine when we might expect needed new understandings to be more broadly accepted. With each of these specific challenges, it is important to appreciate the often considerable progress that has already taken place. But it is also important to recognize how far we often have yet to go and to understand some of why this might be so. Obviously these can only be guesses. And factors I will touch on later could alter what we might find considerably. But being willing to step back in this way is essential if, in our attempts to bring about needed changes, we are not to respond only with frustration. Getting Beyond “Chosen People” and “Evil Others” on the Global Stage: I’ve described how avoiding major destruction will require leaving behind our past need to see the world in mythologized, us-versus-them terms. I’ve also described how the more systemic understanding that comes with culturally mature perspective makes this possible (see The End of War as We Know It). This is an area where we have made important progress. I’ve noted in particular the historical significnace of the fall of the Berlin Wall and the surprising degree the modern West has avoided responding to terrorism by creating a war of civilizations. But factors that should only become more pronounced in decades ahead— such as globalization, the influence of terrorism, and immigration—could easily have us regress in this regard. There are also capacities necessary to the needed sophistication of global decision-making—such as better understanding the fact that cultures often reside in different developmental stages—that are taking a surprisingly long time for even very intelligent people to recognize (see the post Rethinking How We Think: The Critical Role of Multiple Intelligences for an explanation of why such understanding can be so hard for some people). Eventually, we should get to the place where a large portion of people feel social identification both globally and locally and appreciate the rich mosaic of beliefs and traditions that emanate from the planet’s diverse and multi- leveled human makeup. But that may be many decades out even in the modern industrialized world. A Mature Relationship to Nature and Nature’s Limits: Culturally mature perspective alerts us to the critical importance of appreciating our inseparable relationship with nature. In particular, it alerts us to the inescapable fact of environmental limits. The contemporary issues that most stand out are climate change and today’s dramatic rate of species extinctions. While Cultural Maturity’s changes support successfully engaging these concerns—and we have made a start—with each we have a long ways yet to go. I’ve described how simple risk assessment effectively ends the climate change discussion (see Climate Change and Culture’s Big Picure). Yet today, the climate change debate rages on and efforts to limit carbon emissions are proceeding much more slowly than will be needed to avoid significant harm—and perhaps catastrophe. I’ve suggested that because the effects of climate change are so concrete and potentially dramatic, the climate change challenge will serve as a teacher for the more general importance of appreciating limits and mature systemic perspective. The extinction of species is perhaps the crime for which humanity today will owe the greatest apology to future generations. Once a species is gone it is gone forever. This is a crisis that we have barely made a start at addressing. If seriously taking it on turns out to be one of those fifty-year- out accomplishments, we as a species should be deeply ashamed. Getting Beyond Ideological Polarization in the Political Arena: Culturally mature perspective clarifies how the best of conservative and liberal political contributions represent complementary aspects of larger systemic truths (see Partisan Pettiness—An Abject Failure of Leadership). With petty partisanship today dividing us as never before, it is obvious that we remain yet a long ways from the needed systemic sophistication. There are exceptions. I’ve written about how Barack Obama often manifests culturally mature sensibilities (see Grading Barack Obama). And most people today at least recognize that the current degree of partisan gridlock is incompatible with effective governance. But at this point we see only limited appreciation for what getting beyond such gridlock might require. If the concept of Cultural Maturity is accurate, the absurdities we see today in the world of government have dramatic, big-picture implications—of both a bad-news and a good-news sort. As far as bad news, they alert us to how deeply government as we have known it is failing us. As far as good news, they hint at the possibility of a new chapter in the story of governance that could be as or more transforming as that which gave us modern democratic rule (see The Future of Government). With regard to timing, the conversations that give birth to new ways of thinking about governmental determination should become more frequent in the decades immediately ahead. The new practices and structures that result from those conversations are, at least in any mature form, appropriately products more of that fifty-year time frame. The Need for a New Maturity in our Relationship With Death: I’ve written repeatedly through the years about how containing health care costs will require a new maturity in our relationship with death (see Health Care Reform Meets Life’s Ultimate Limit). In the end, the most compassionate and effective care similarly depends on leaving behind modern medicine’s heroic “defeat death and disease at any cost” mindset. We’ve made a start with this essential task. I think about today’s greater acceptance of hospice programs and also the growing recognition that conversations about end-of-life issues are a necessary part of good health care. But the fact that medical costs continue to spiral in ways that are ultimately unsustainable alerts us to how far we yet are from directly confronting this challenge. They also alert us to the fact that we have no choice eventually but to do so. This need for a new maturity in our relationship with death is another challenge, like climate change, where the concrete consequences if we fail at the task could make it an important teacher for Cultural Maturity’s broader changes. But death being life’s most ultimate limit—certainly to what we can know and control—this conversation should be ongoing over many decades to come. An Essential New Chapter in the Story of Love: Some of the first articles I wrote forty years ago concerned how our times are challenging us to rethink love and what it asks of us. I proposed that our Romeo-and- Juliet, two-halves-makes-a-whole ideal represents not the end point we tend to assume, but just one chapter in love’s evolution. I went on to describe an emerging, less mythologized, more “whole person” kind of love (see Understanding Today’s Radical New Chapter in the Story of Love). This further evolution reflects a new chapter not just in how we relate, but also in how we think about and embody identity (see The Myth of the Individual). We very much see the beginnings of these changes. They are hinted at in today’s growing willingness to question gender roles and traditional notions of gender identity. And no topic comes up more frequently in my work as a psychiatrist than how love is requiring us to relate in new, more mature and complete ways. But at the same time, love’s next, more mature chapter remains a stretch for most people. Certainly, popular depictions of love in the media still rarely get beyond fairytale romance and soap opera drama. Long-term, this next chapter in love’s story will be essential to love that works—and essential also to ways of understanding identity and purpose that work. But again these are changes that will be born out of experiences over the next ten, twenty, or fifty years. Why is culturally mature understanding so hard? In important ways it is not hard. I’ve described the essential sense in which culturally mature perspective is straightforward—ultimately, “common sense” (see Common Sense 2.0). This is a level of common sense that we have not before been capable of. But in the end it is only about seeing things more clearly for what they are. There is also how we don’t have to invent Cultural Maturity’s changes from whole cloth. Cultural Maturity is a developmental phenomenon. At least as potential, the new kinds of understandings and actions it makes possible are inherent in who we are (see Patterning in Time). In addition, there is how Cultural Maturity’s changes reflect a coherent process—they are ultimately of a whole. I’ve described how new challenges of all sorts are requiring new human capacities. All the needed new capacities follow inevitably from the cognitive changes that produce culturally mature perspective (see Cultural Maturity’s Cognitive Changes). And the new capacities are themselves related. Thus any time we practice one new capacity we are at least in some small way practicing them all. But while all these observations are accurate, we could as appropriately ask why we would expect Cultural Maturity to be easy. If it is what Creative Systems Theory claims it to be—a new chapter in our human narrative— then there is no reason to assume that getting there should be pain-free, or quick. The Renaissance was surprising in the suddenness of its appearance. But the underlying changes it reflected had been going on for a considerable time; what it heralded often manifested in ways that were dramatically controversial (witness the Inquisition); and the Modern Age’s full flowering took many centuries. There are ways in which Cultural Maturity’s changes are more fundamentally disruptive than those that have come with any previous new cultural chapter. Earlier stages in culture’s evolutionary story similarly required leaps in understanding and the shedding of old ideological assumptions. But always before culture’s parental status remained intact (see Culture as Parent) and new ideologies quickly appeared to replace those lost. Cultural Maturity requires us to tolerate uncertainties we could not before have imagined and to assume a whole new order of human responsibility. The fact that we are dealing with new human capacities is not different from other major change points, but just how deep a challenge understanding and developing these new capacities represents may be new. Cultural Maturity’s leap is unique in how, rather than following history’s familiar trajectory of ever greater differentiation, individuality, and archetypally masculine preeminence, it is specifically integrative (see The Dilemma of Trajectory). This may or may not make it more ultimately difficult than the leaps that came before. But certainly it could make it initially more challenging to get our minds around. I think, for example, of the challenge presented by the need to consciously take into account all of intelligence’s multiple aspects that comes with Cultural Maturity’s cognitive changes—a challenge that can stop traditional academic thought cold (see Rethinking How We Think: The Critical Role of Multiple Intelligences and How Cultural Maturity Rewrites the Social Sciences). It is hard to say whether this represents a greater challenge than the new importance of scientific objectivity and logical inquiry that came with the Age of Reason. But it is reasonable that we might miss just how deeply this more complete picture alters understanding. Yes, culturally mature thought and action is “common sense” and, as potential, built into us. But given all that Cultural Maturity asks of us, it should not be a surprise that its changes are often not as quick in coming as we might prefer. We can take solace in the considerable progress that has often been made. And the fact that important aspects of needed changes can often seem a long ways off is consistent with the deep and fundamental nature of these changes reminds us of their importance—and the importance of perseverance. Creative Systems Theory’s developmental framework helps very little with the question of just how fast we should expect Cultural Maturity’s changes to take place. It only tells us that these changes are consistent with how formative processes work and that their potential is built into our makeup. For time frames, we have to guess as best we can from analogy with other change processes and from observing culturally mature changes that are already in motion. 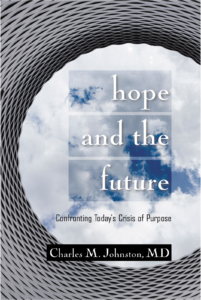 In my most recent book, Cultural Maturity: A Guidebook for the Future, I go into considerable detail about factors that could speed up or slow down the general emergence of culturally mature capacities. Here I’ve suggested a couple factors that could have changes happen more quickly than we might imagine. There is how certain challenges where culturally mature capacities will be necessary have external consequences that are particularly dire and immediate—I’ve mentioned climate change and containment of health care costs. There is also how the various needed new culturally mature capacities are ultimately related. If we don’t have to learn about them one at a time, it is possible that we can acquire them more rapidly than we might think. This post’s observations don’t ultimately alter what is important to do. The fact that many of Cultural Maturity’s most important changes may lie well in the future only highlights how essential working toward them necessarily is. And while the fact that Cultural Maturity’s changes are developmentally predicted—and ultimately “common sense”—may be comforting, it does not at all let us off the hook. It is the potential for these changes that is predicted. They will happen only if we act to make them happen. I am very aware of a particular consequence that this post’s observations about time frames has for me personally. They mean that many of the changes that I first wrote about in the early years of my work will not happen in my lifetime. Indeed, they means that I will not have a chance to take part in many of the conversations that will be most instrumental in catalyzing those changes. Like it or not, being part of big-picture change requires humility to the fact that we are dealing with big-picture, long-term realities.